Properly functioning and efficient systems require great sealing to ensure the best functionality of every part. Since they are not a large, bulky, or incredibly expensive part, diesel O-rings can quickly fall to the back of your mind. However, when you are working with more powerful and higher performance engines, having highly durable and effective seals becomes that much more important. If you are noticing decreasing performance, or it is simply the time to perform some routine maintenance on your system, you will be able to make repairs and replacements quickly and easily with our great selection of products. We have many different high-quality seal kits that will help you get everything you need for your vehicle. There are many different specifications that will change the diesel O-rings you want for the job. Different rings are made from various materials and designed for many purposes. Look for variables such as chemical compatibility, temperature, pressure, size, and more. These aspects will help you narrow down your selection to the proper seal for the job. Using a poor match can result in failure of the seal, so take the time to make sure you have the right tool for your needs. Our selection of high quality comes with several different materials. Choose from PTFE, Nitrile, Neoprene, EPDM rubber, fluorocarbon, and silicone to suit your needs. We are dedicated to total customer satisfaction and will help you get the perfect match for your system. For an even easier time, check out our diesel O-ring seal kits that will provide a variety of options to cover everything at once. From the oil filter to the crankcase to the regulator and more, you can seal whatever you need effectively with reliable rings that will help you take your mind off your hardware. 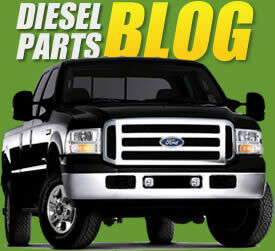 When it comes to powerful, effective diesel engines such as the Ford Powerstroke and more, having high-quality parts is essential to ensure the proper function and performance of the vehicle. That is why we are proud to provide great hardware at an affordable price. Let us help you find the right match for your system so that you can get an effective and long lasting seal that will help your vehicle run at its best day after day. The TamerX HPOP73MSK High Pressure Oil Pump Master Service Kit includes all the components you need to replace all seals and O-rings on your high-pressure oil pump and correctly reinstall the pump. Our kit includes many components you won't find in other HPOP seal kits on the market today along with a base mounting gasket, STC disconnect tool, and STC fittings. Every part that is included in the service kit can also be purchased from us separately if needed. The included parts are TamerX Part Numbers ISK635, ISK617, ISK795, and TL3. This is a complete diesel fuel injector seal kit good for replacing all seals and O-rings on all eight diesel fuel injectors. The blue spring kit with valve cap offered by TamerX includes all the pieces needed to get your fuel pressure regulator valve cap back in service with no leaks. We only supply the highest quality parts available. This kit will ensure your fuel is at the optimum pressure. The blue spring kit with updated design billet valve cap offered by TamerX includes all the pieces needed to get your fuel pressure regulator valve cap back in service with no leaks. We only supply the highest quality parts available. This kit will ensure your fuel is at the optimum pressure.